This is pretty interesting, the prices for Fake News as a Service have come out after some research by Trend Micro, imagine that you can create a fake celebrity with 300,000 followers for only $2,600. Now we all know this Fake News thing has been going on for a while, and of course, if it’s happening, some capitalist genius is going to monetize it and offer it as a professional service. Fake news has come to be associated with political intrigue but the same propaganda techniques are also abused by cybercriminals, according to a study by Trend Micro. The techniques and methods used to spread fake news and manipulate public opinion have a wide range of objectives and even a price list. Cybercriminals produce, market and monetise fake news in underground markets. The scope of a campaign and intended target affect pricing. For example, campaigns aimed to spark street protests are priced at $200,000 while discrediting a journalist would cost $55,000 and creating a fake celebrity (with 300,000 followers) costs a more modest $2,600. A year-long campaign to influence election outcomes is available for just $400,000, the study says. Whether such listings are in themselves an attempt at disinformation is certainly debatable. US intel agencies, Western politicians and security firms are nigh-on unanimous that attempts to influence the US presidential election last year were the work of the Kremlin. For example, UK defence secretary Sir Michael Fallon recently said the Kremlin is “weaponising misinformation” as part of a sustained campaign that goes beyond alleged meddling in the presidential election. It’s insightful to see the types of services that are available, and how they are categorised. Now I’ve known about social media manipulation for many years (fake likes, followers, YouTube views and so on) but to see this kind of Fake News at scale, as a service is something new to me. 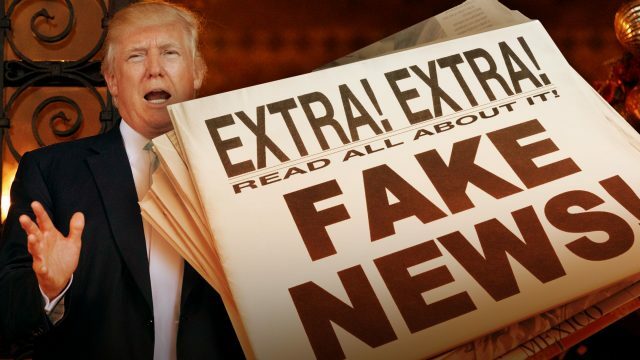 Fake news services typically involve the creation of fake social media profiles and groups; developing the fake content itself; driving likes and retweets for dissemination; and building legitimate-looking news sites. All these steps are designed to set up and sustain false narratives. For an additional fee, multiple news sites can be purchased which cross reference each other to add more authenticity to the fake news campaign, the report reveals. Chinese, Russian, Middle Eastern and English underground marketplaces offer fake news services of one type or another. Regional differences exist. For example, in China, fake advertorials can be purchased for as little as ¥100 (£11), while in Russia 35,000 rubles (£483) will buy your video two minutes on the YouTube homepage. The report also details an example of the dissemination of fake news, including the cynical abuse of the recent Manchester bombing attack. Mexican journalists were falsely listed in galleries as bombing victims in what’s thought to be an attack by a drug cartel. These fake victim pics were subsequently promoted through social media. Unfortunately there’s no technical solution to thwart this, it’s purely about education. If people don’t fact check, cross check and verify sources before disseminating them this whole Fake News situation is just going to get worse and worse. I feel like it had a serious impact on both Brexit and the Trump election, and it’s likely to stay very relevant in any large scale World events as so many people now base their opinions on what they see online.